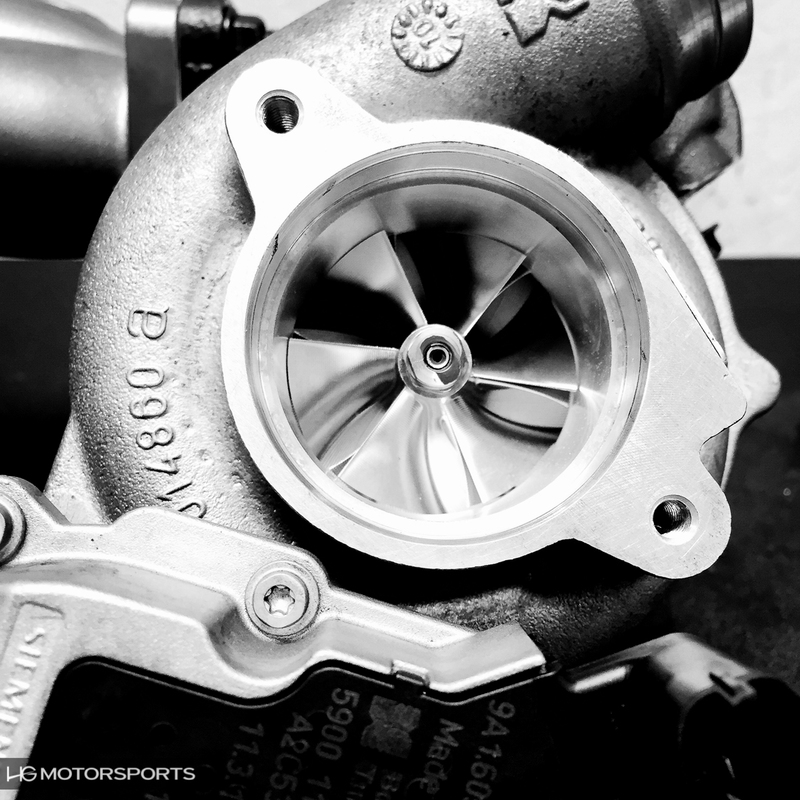 Charge Into Fall with Turbos, Exhaust, and Carbon Fiber Wheels! We are working on a special project at HG Motorsports this month. Creating a customer's dream Porsche 911 Turbo S. In this build the customer was looking to add serious power, 700hp+ power. 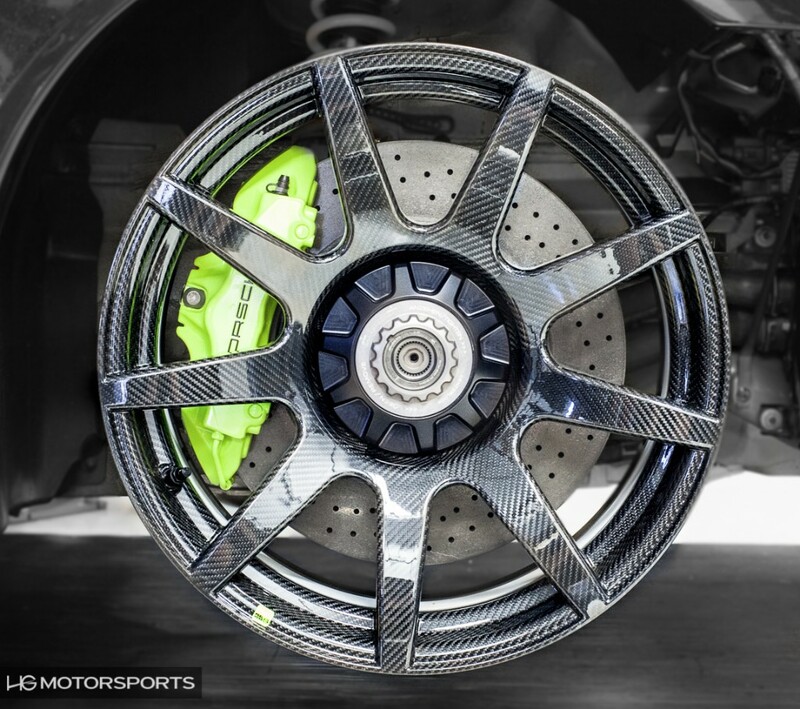 In order to match this kind of speed we recommend reducing weight while adding strength and safety at all four corners with the addition of Carbon Rev's Carbon Fiber Center Lock Wheels. This reduces the rotational mass at each corner which helps with braking and acceleration. 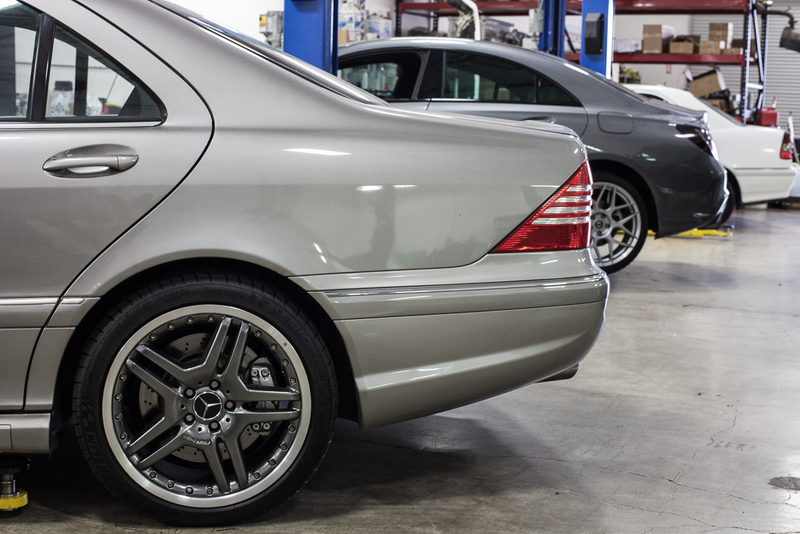 The strength of the carbon fiber also help reduce flex in the wheels over standard alloy wheels. This means there is less movement through the corners which aids traction and stability. In addition to the wheels, we have fabricated in house a custom roll bar to add safety and chassis stiffness. The Huracán is the latest V10 mid engine super car from Lamborghini and now HG Motorsports is adding our performance touch with a Titanium Akrapovic Exhaust System. This system increases the power of screaming V10 by 19 horsepower and adds 16 ft lbs of torque. The full titanium system offer a weight saving of over 45lbs when compared to the factory system. This weight savings helps give the Huracán better balance and handling compared to stock. The real star of the show with exhaust is the raw sound. The unique growl from the naturally aspirated V10 engine is improved as the performance grows, delivering a distinctive note that thrills the senses, without any unwanted cabin noise. At lower revs and during cruise operation the valves are closed, producing a deeper and sharper exhaust note, but when the revs rise and the valves open, the full passionate soundtrack of the engine is released to show that the Huracán means business. This exquisite system is perfectly finished with four carbon fibre tailpipes, ensuring that this exhaust looks as good as it sounds and performs. 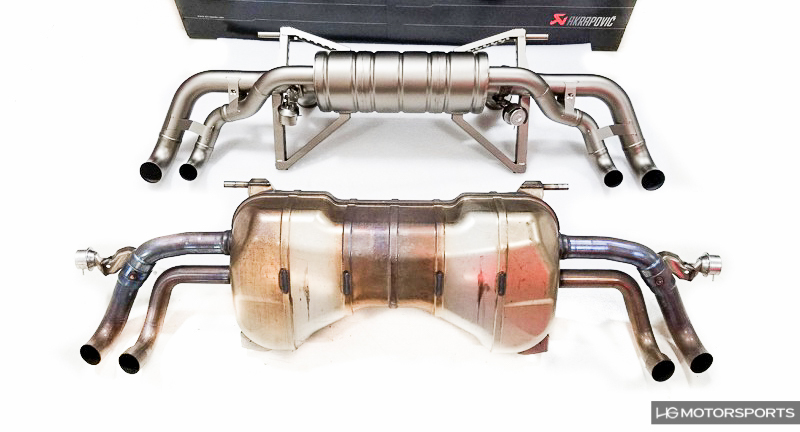 Contact us to add an Akrapovic Exhaust to your car now. Bring Out Your Best, was the theme and the cars did not disappoint. 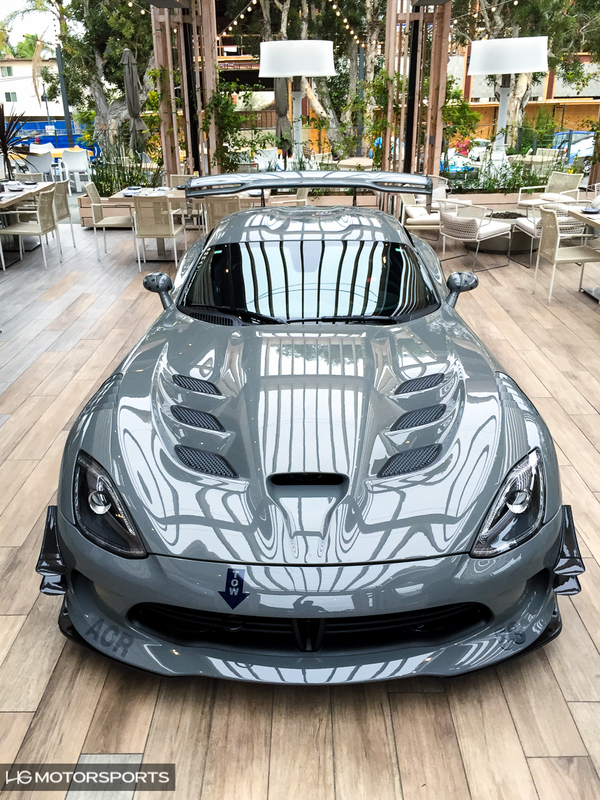 The star of the show was a brand new Dodge Viper ACR Extreme which was featured in the restaurant of The Lot. 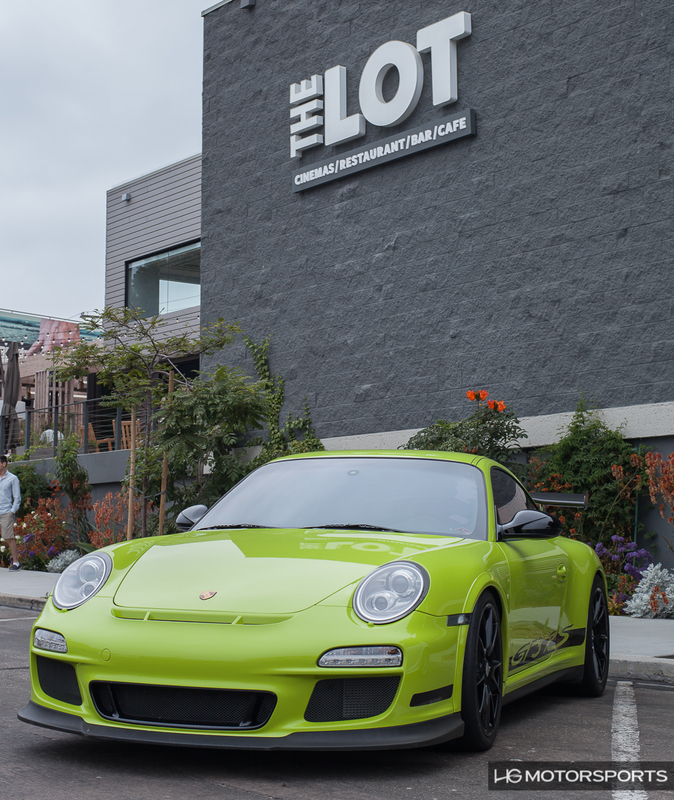 The variety was incredible with everything from a AC Shelby Cobra to a fully restored BMW CS to a rare lime green Porsche GT3RS. As usual the crowds came out in great numbers to check out all the metal and chat cars with friends.